Haberdashery have taken a prominent position during London Design Festival at both our Kings Road showroom and Designjunction. 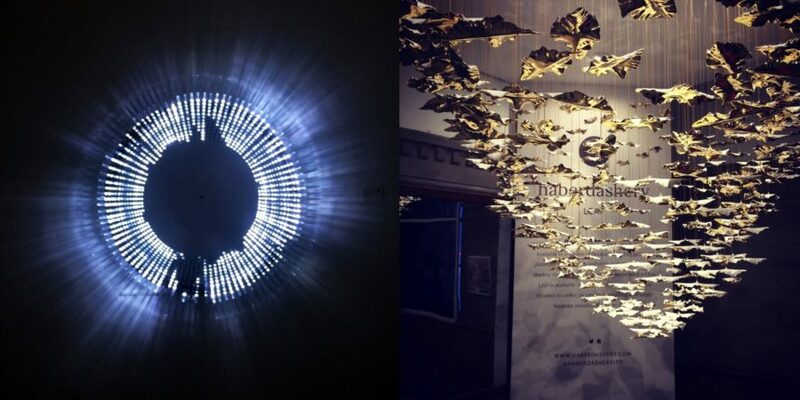 Showcased at Designjunction, Leaf is made up of bone china leaves creating a spectacular canopy over an interior space. Disco Disco is a modular lighting system which responds interactively to its environment. You can see Haberdashery’s Disco Disco at our showroom on 561 Kings Road until 27th September. 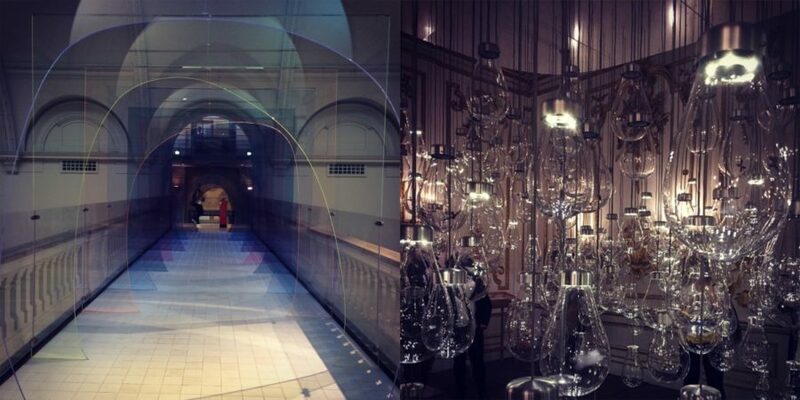 Amongst the V&A‘s fantastic LDF exhibitions, these two installations really stood out to us. Mise-en-abyme by designers Laetitia de Allegri, Matteo Fogale and Johnson Tiles is a colourful and immersive installation, making you question your sense of perspective. Curiosity Cloud by Mischer’Traxler and Perrier-Jouet is a sensual and interactive installation celebrating moments in nature as well as people’s interactions with the natural world. Please feel free to come into our showroom to see our #LDF15 collaboration with Haberdashery and Ultimate Library until Saturday 26th September.